Great space, that brings awesome ideas to the mind! While walking around in Munich, exploring elegant and gorgeous streets with cool showrooms in the windows, we ended up at the awesome Goldene Bar with its cool surrounding. 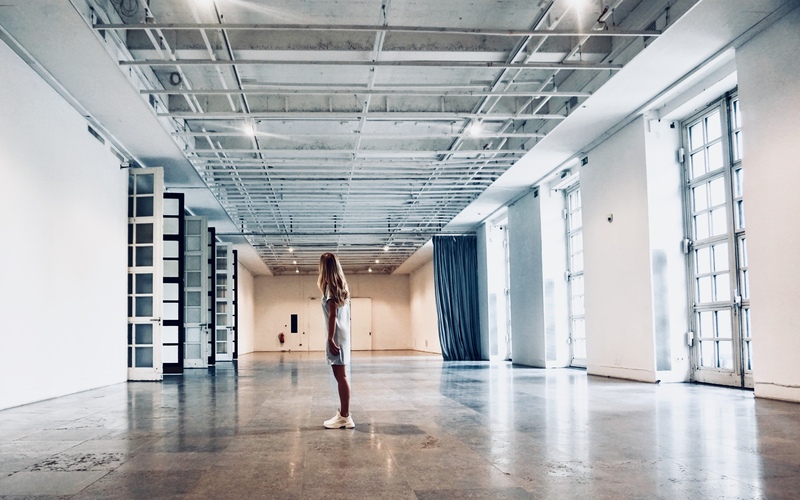 In the same breathtaking building, it was an art exhibition and shop with some really fascinating stuff but one of the really cool rooms was this empty one with delightful big windows and a perfect space for a showroom or runway, right?! Its a bit crazy how the feeling of exploring and seeing new places grows from when exploring, one day, I thought it would give the opposite feeling but nah not today at least. Just want to see more and especially places like this!